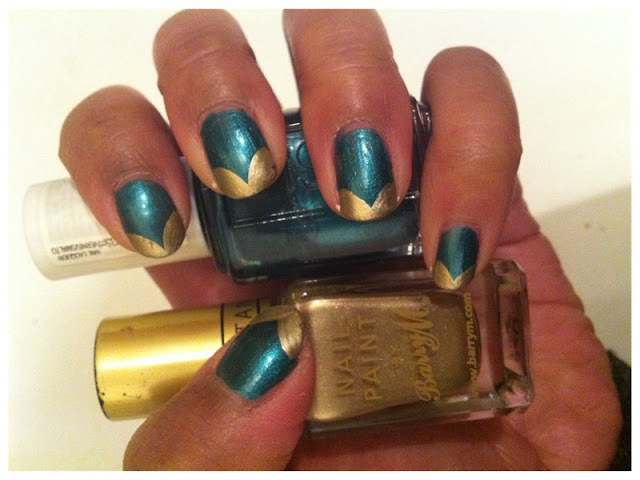 Recently I've been going back to one-colour nails. Two reasons really, 1) I have been a busy bee running here there and everywhere and 2) I thought keeping it simple for a couple of weeks would be refreshing as well as a welcomed break from all the experiments! I've had the last couple of days off work which has been really nice (have finally managed to catch up on sleep!) and while catching up on some of my favourite blogs, I stumbled on leblogdesushi's heart nails. INSPIRED. So off I went and did my own take on it - switching the ladylike red with a shiny shiny gold (I clearly can't get enough of it) and hey presto this was the result! Off to get a little bit more cultured now, love London during the weekday - galleries are relatively calmer, cafés are buzzy but not impossible to get into and I actually get to explore this wonderful city in daylight (and SUN). Win! 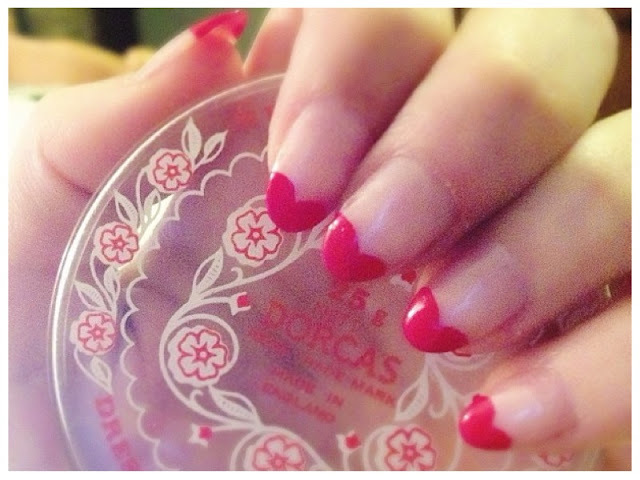 leblogdesushi's heart nails - check out her actual blog too, her style is super girly and super cute!